Velcro Industries provide enterprise-level resources through a network of business offices, research and development centres, and manufacturing facilities spread across 11 countries. Our global presence provides uninterrupted supply chain and logistical support to ensure that your products reach your markets when and where they are targeted. 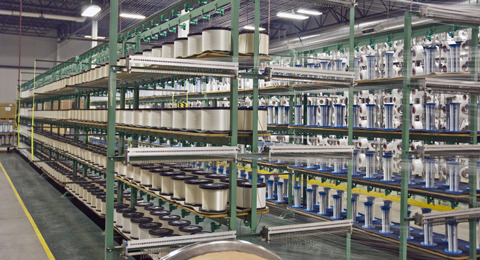 With decades of experience in hook and loop technology, adhesives, and manufacturing processes, Velcro Industries can work with you to find the right products and attachment methods for your application. If you are looking for converted components, subassemblies, or finished products, our team can work with you to provide a total solution — from design through fabrication. Velcro Industries can meet your custom fabrication needs while reducing your costs and maintaining the high quality that is synonymous with the VELCRO® brand. Our 130,000 sq. ft. fabrication facility in Agua Prieta, Mexico is TS 13485:2003 compliant and capable of manufacturing single components or entire assemblies fully packaged to meet your needs. To learn more about application engineering and fabrication services from Velcro Industries, or to discuss your product design requirements, call us at (+44) 01606 738806 or email us at infovltd@velcro.com.